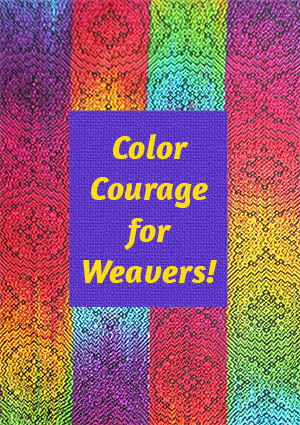 Early in my weaving career, I was advised to use black wefts with brightly colored warps, because “black pops all colors”. But I quickly found out that that wasn’t true. Sometimes the colors came out clear and bright, other times they turned into mud. If that’s ever happened to you, fear not. 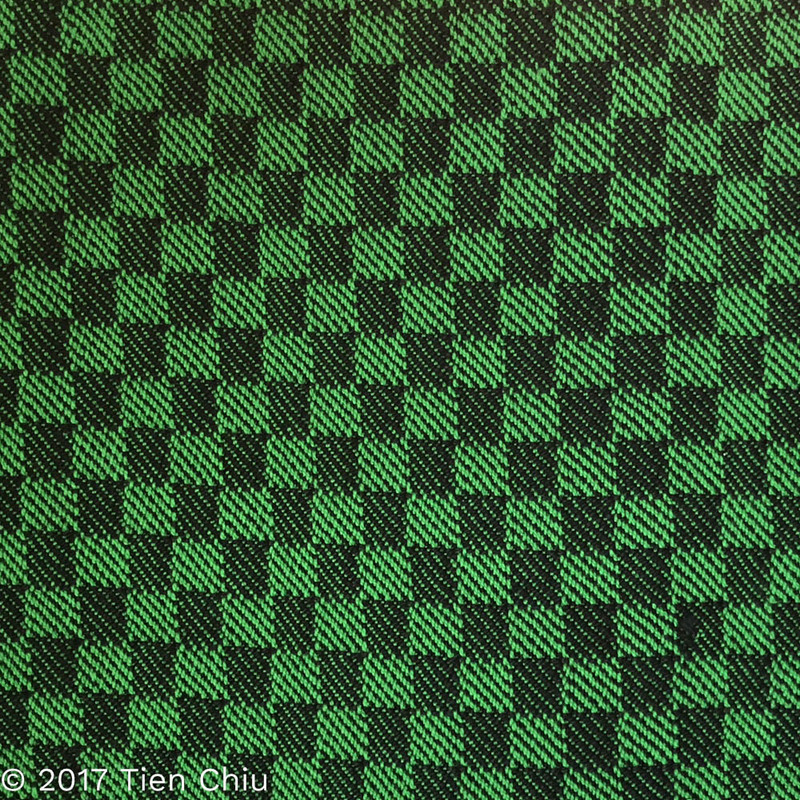 There are two secrets for using black to make your handwoven cloth sing, and this post will teach you both of them. 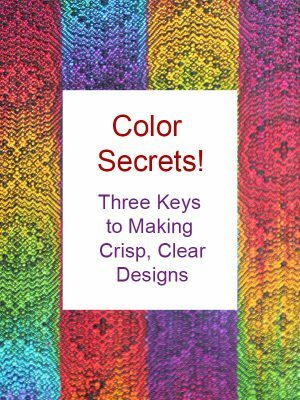 Secret #1: Use a weave structure that gives you large chunks of color. The pattern stands out clearly, and the orange looks bright against the block.  The orange is practically invisible, and the cloth is a dull, dingy brown. So what’s happening here? There are two color principles at work. 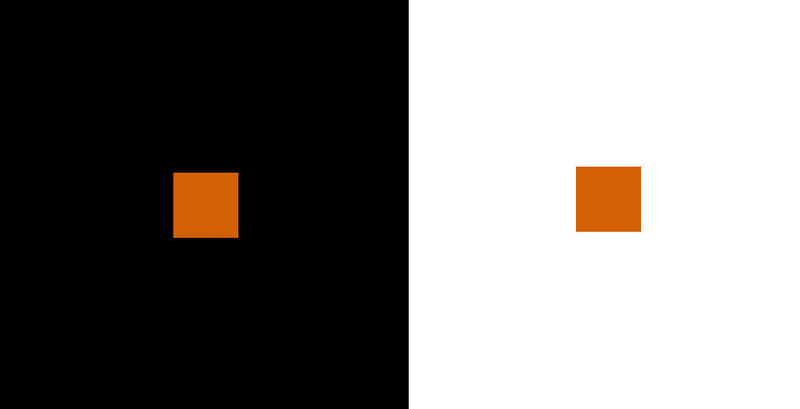 In the first sample, simultaneous contrast makes the orange look bright against the black. 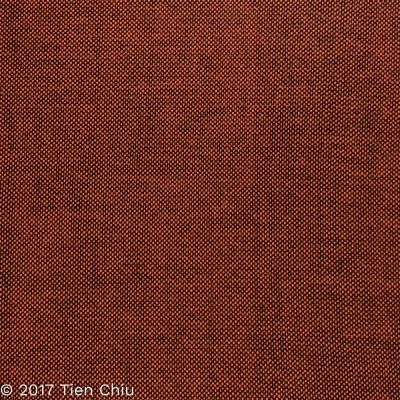 In the second, optical mixing blurs the two colors together, producing a muddy brown. So the orange comes out bright in one combination, dull in the other. The first sample’s colors appear bright and clear. This is because two colors placed next to each other will tend to emphasize their differences. If you place a patch of dark color next to a patch of a light color, the dark color will look darker, and the light color will look lighter. Similarly, a dull color placed next to a bright color will make the dull color appear duller and the bright color appear brighter. This principle is called “simultaneous contrast”. 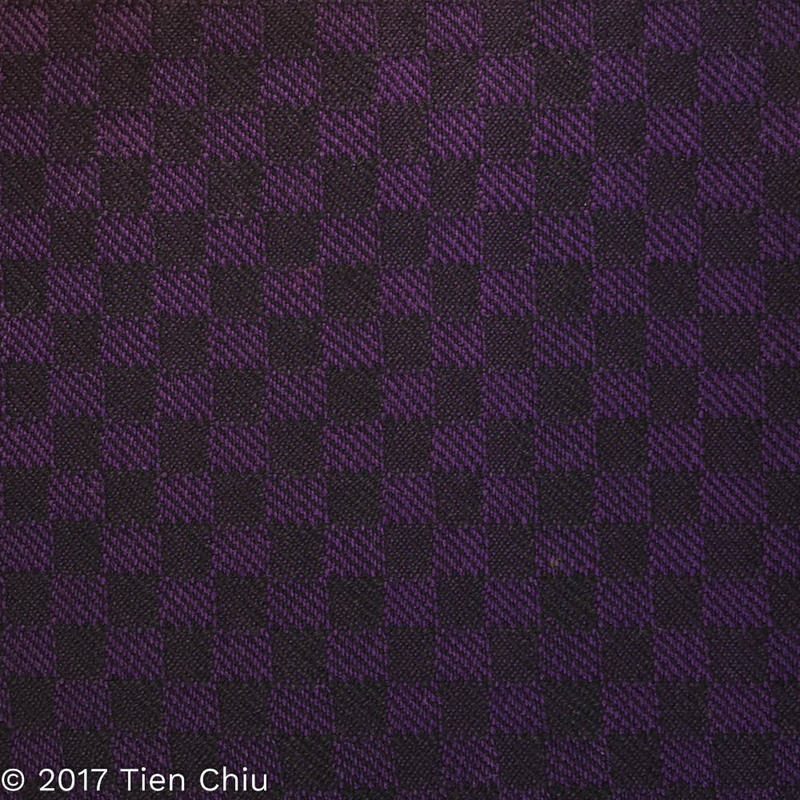 Since black is both the dullest and darkest possible color, putting a patch of any other color next to a patch of black will make that color look both lighter and brighter than it is. 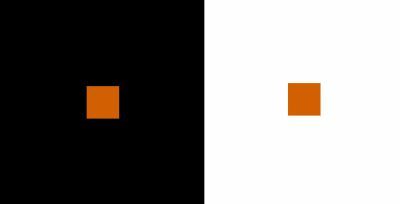 If you stare at the black-and-orange block for a few seconds, and then the white-and-orange block, you can see that the orange looks lighter against the black background than it does than against the white. The longer you look, the more obvious the effect will become. Because the eye is attracted to both light colors and bright colors, the patches of orange appear more prominent against the black than they would against any other color. The black “pops” the orange. 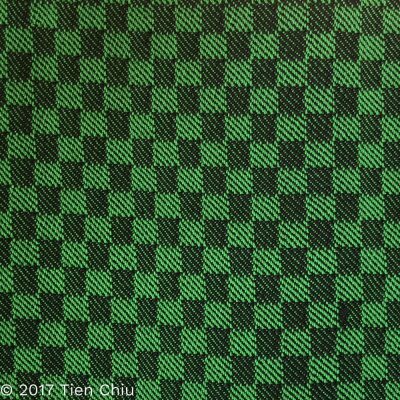 So if that’s true, why does the black-and-orange plain weave look dull and boring? 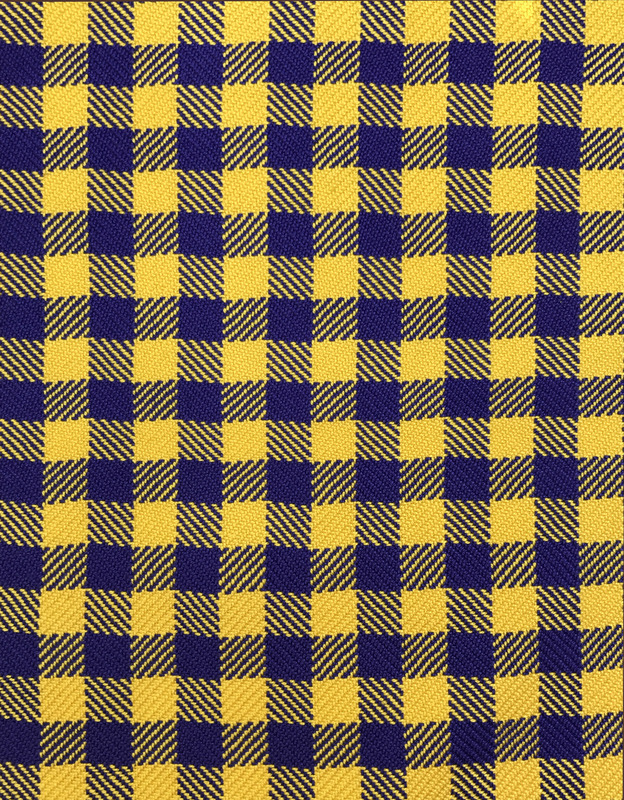 That’s because of the second color principle: Optical mixing. 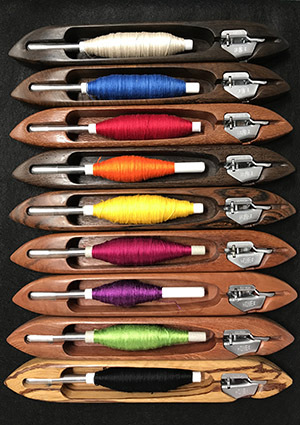 If patches of color are small enough, the eye will average them into a mix of the colors. This is called “optical mixing”. 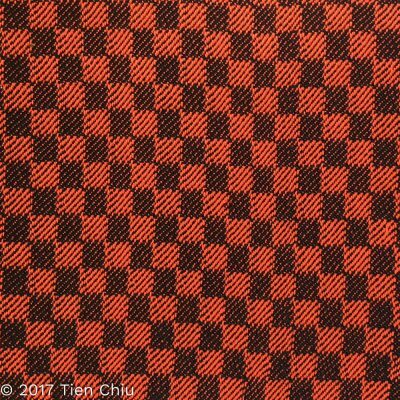 Plain weave produces many small dots of color, so the eye blends the black and orange together into a mix of the colors – producing brown. 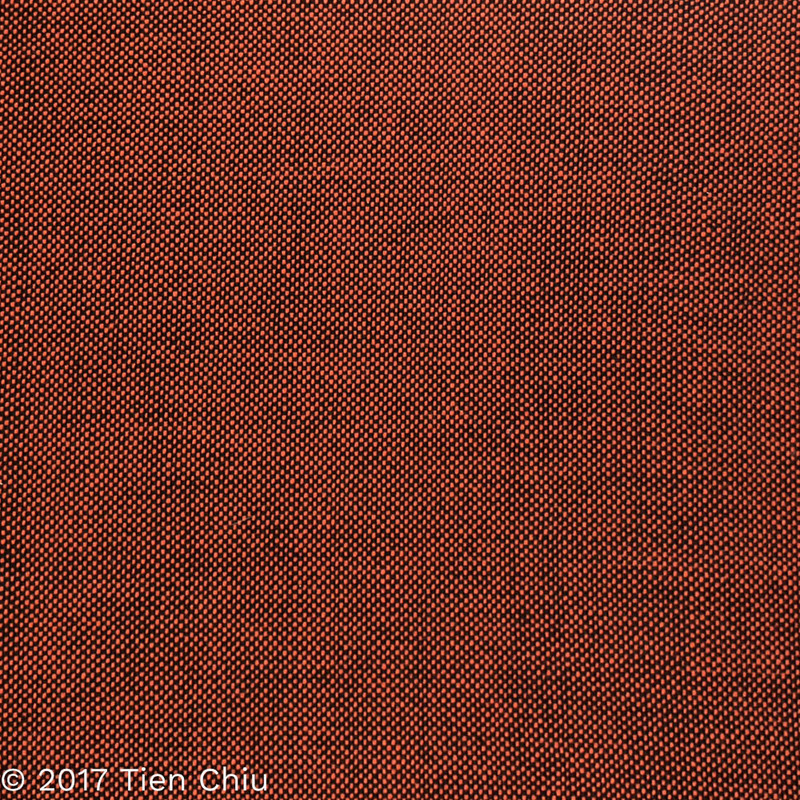 Plain weave is a 50-50 blend of warp and weft, so it’s not surprising that the “averaged” color comes out near the middle of the color card – a dull brown. So that’s why black gives more pizzazz to colors in some weave structures but dulls them down in others. 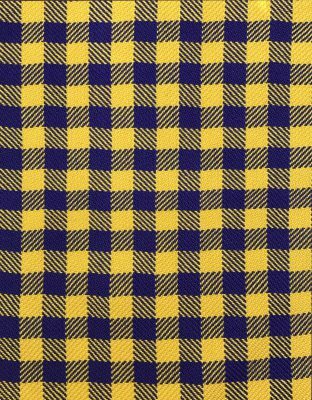 In large patches, it will make your colors look brighter and lighter. But in small patches, it will darken and dull them. 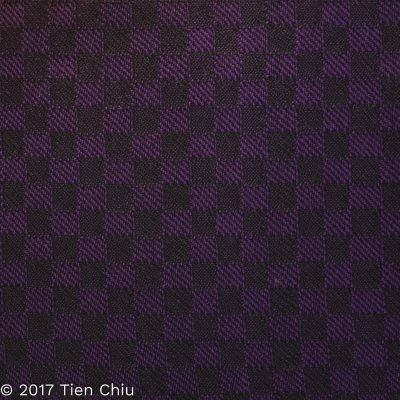 So if you want black to make your colors sing, choose a weave structure that makes your patches of color big enough to see. Use large patches of color against large patches of black. 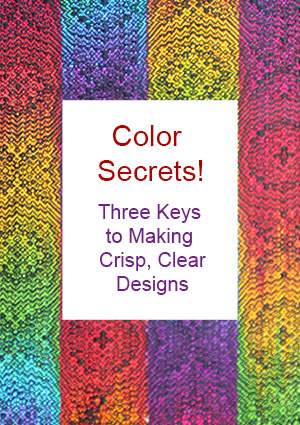 Mixing them in small dots will blend the colors together, darkening and dulling your color. Use a light to medium color. A dark color will blend with the black regardless of weave structure. You’ve said this more clearly than I’ve ever heard before–Good on you! I love your thorough explanations and visuals so much! This makes so much sense and yet felt completely new to me. 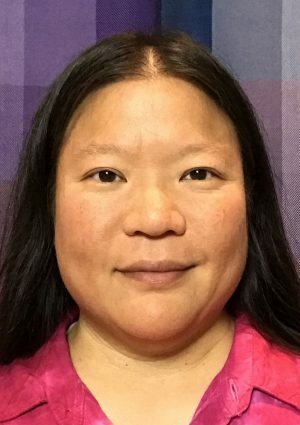 I’m excited about your new ventures in sharing your vast knowledge. Very clear and visual explanation. Thanks !